I like this quote. It makes me hear phones ringing at your local search marketing agency, with aspiring chefs and restaurateurs on the other end of the line, ready to bring experts aboard in the “sometimes difficult” quest for online visibility. Is your team ready for these clients? How comfortable do you feel talking restaurant Local SEO when such calls come in? When was the last time you took a broad survey of what’s really ranking in this specialized industry? Allow me to be your prep cook today, and I’ll dice up “best restaurant” local packs for major cities in all 50 US states. We’ll julienne Google Posts usage, rough chop DA, make chiffonade of reviews, owner responses, categories, and a host of other ingredients to determine which characteristics are shared by establishments winning this most superlative of local search phrases. The finished dish should make us conversant with what it takes these days to be deemed “best” by diners and by Google, empowering your agency to answer those phones with all the breezy confidence of Julia Child. I looked at the 3 businesses in the local pack for “best restaurants (city)” in a major city in each of the 50 states, examining 11 elements for each entry, yielding 4,950 data points. I set aside the food processor for this one and did everything manually. I wanted to avoid the influence of proximity, so I didn’t search for any city in which I was physically located. The results, then, are what a traveler would see when searching for top restaurants in destination cities. Now, let’s look at each of the 11 data points together and see what we learn. Take a seat at the table! 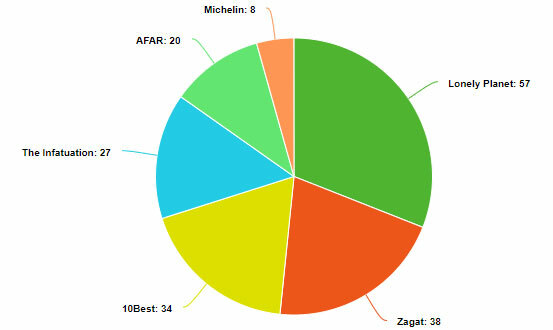 Which restaurant categories make up the dominant percentage of local pack entries for our search? You might think that a business trying to rank locally for “best restaurants” would want to choose just “restaurant” as their primary Google category as a close match. Or, you might think that since we’re looking at best restaurants, something like “fine dining restaurants” or the historically popular “French restaurants” might top the charts. Instead, what we’ve discovered is that restaurants of every category can make it into the top 3. Fifty-one percent of the ranking restaurants hailed from highly diverse categories, including Pacific Northwest Restaurant, Pacific Rim Restaurant, Organic, Southern, Polish, Lebanese, Eclectic and just about every imaginable designation. American Restaurant is winning out in bulk with 26 percent of the take, and an additional 7 percent for New American Restaurant. I find this an interesting commentary on the nation’s present gustatory aesthetic as it may indicate a shift away from what might be deemed fancy fare to familiar, homier plates. Overall, though, we see the celebrated American “melting pot” perfectly represented when searchers seek the best restaurant in any given city. Your client’s food niche, however specialized, should prove no barrier to entry in the local packs. Do Google’s picks for “best restaurants” share a pricing structure? It will cost you more than $1000 per head to dine at Urasawa, the nation’s most expensive eatery, and one study estimates that the average cost of a restaurant meal in the US is $12.75. When we look at the price attribute on Google listings, we find that the designation “best” is most common for establishments with charges that fall somewhere in between the economical and the extravagant. Of anecdotal interest: The only locale in which all 3 top-ranked restaurants were designated at $$$$ was NYC, while in Trenton, NJ, the #1 spot in the local pack belongs to Rozmaryn, serving Polish cuisine at $ prices. It’s interesting to consider how regional economics may contribute to expectations, and your smartest restaurant clients will carefully study what their local market can bear. Meanwhile, 7 of the 150 restaurants we surveyed had no pricing information at all, indicating that Google’s lack of adequate information about this element doesn’t bar an establishment from ranking. Is perfection a prerequisite for “best”? Negative reviews are the stuff of indigestion for restaurateurs, and I’m sincerely hoping this study will provide some welcome relief. The average star rating of the 150 “best” restaurants we surveyed is 4.5. Read that again: 4.5. And the number of perfect 5-star joints in our study? Exactly zero. Time for your agency to spend a moment doing deep breathing with clients. Breaking down a single dining spot with 73 reviews, a 4.6 star rating was achieved with fifty-six 5-star reviews, four 4-star reviews, three 3-star reviews, two 2-star reviews, and three 1-star reviews. 23 percent of diners in this small review set had a less-than-ideal experience, but the restaurant is still achieving top rankings. Practically speaking for your clients, the odd night when the pho was gummy and the paella was burnt can be tossed onto the compost heap of forgivable mistakes. How many reviews do the best restaurants have? The greatest number of reviews in our study was earned by Hattie B’s Hot Chicken in Nashville, TN, coming in at a whopping 4,537! Meanwhile, Park Heights Restaurant in Tupelo, MS is managing a 3-pack ranking with just 72 reviews, the lowest in our data set. 35 percent of “best”-ranked restaurants have between 100–499 reviews and another 31 percent have between 500–999 reviews. Taken together that’s 66 percent of contenders having yet to break 1,000 reviews. A restaurant with less than 100 reviews has only a 1 percent chance of ranking for this type of search. Anecdotally, I don’t know how much data you would have to analyze to be able to find a truly reliable pattern regarding winning review counts. Consider the city of Dallas, where the #1 spot has 3,365 review, but spots #2 and #3 each have just over 300. Compare that to Tallahassee, where a business with 590 reviews is coming in at #1 above a competitor with twice that many. Everybody ranking in Boise has well over 1,000 reviews, but nobody in Bangor is even breaking into the 200s. The takeaways from this data point is that the national average review count is 893 for our “best” search, but that there is no average magic threshold you can tell a restaurant client they need to cross to get into the pack. 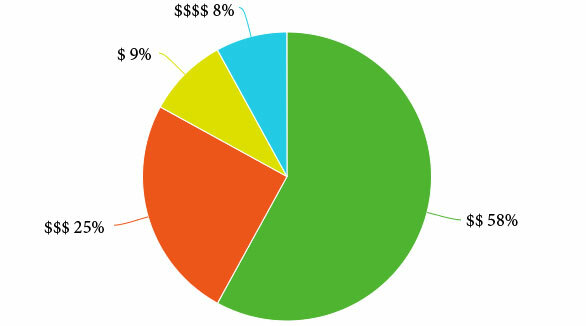 Totals vary so much from city to city that your best plan of action is to study the client’s market and strongly urge full review management without making any promise that hitting 1,000 reviews will ensure them beating out that mysterious competitor who is sweeping up with just 400 pieces of consumer sentiment. Remember, no local ranking factor stands in isolation. How many of America’s top chophouses have replied to reviews in the last 60 days? 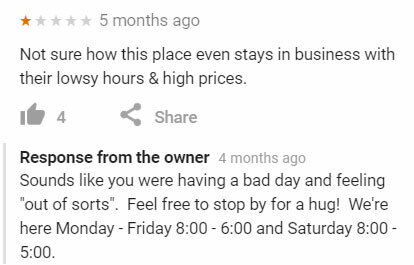 With a hat tip to Jason Brown at the Local Search Forum for this example of a memorable owner response to a negative review, I’m sorry to say I have some disappointing news. Only 29 percent of the restaurants ranked best in all 50 states had responded to their reviews in the 60 days leading up to my study. There were tributes of lavish praise, cries for understanding, and seething remarks from diners, but less than one-third of owners appeared to be paying the slightest bit of attention. On the one hand, this indicates that review responsiveness is not a prerequisite for ranking for our desirable search term, but let’s go a step further. In my view, whatever time restaurant owners may be gaining back via unresponsiveness is utterly offset by what they stand to lose if they make a habit of overlooking complaints. Review neglect has been cited as a possible cause of business closure. As my friends David Mihm and Mike Blumenthal always say:“Your brand is its reviews” and mastering the customer service ecosystem is your surest way to build a restaurant brand that lasts. For your clients, I would look at any local pack with neglected reviews as representative of a weakness. Algorithmically, your client’s active management of the owner response function could become a strength others lack. But I’ll even go beyond that: Restaurants ignoring how large segments of customer service have moved onto the web are showing a deficit of commitment to the long haul. It’s true that some eateries are famous for thriving despite offhand treatment of patrons, but in the average city, a superior commitment to responsiveness could increase many restaurants’ repeat business, revenue and rankings. 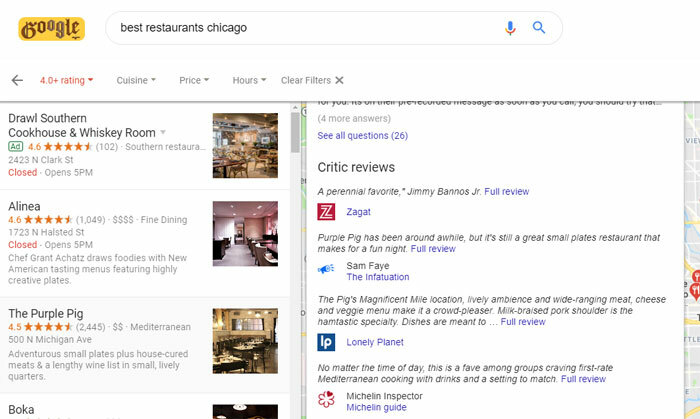 How many times were critic reviews cited in the Google listings of America’s best restaurants and how does an establishment earn this type of publicity? Lonely Planet — Founded in 1972, Lonely Planet is a travel guide publisher headquartered in Australia. Critic reviews like this one are written for their website and guidebooks simultaneously. You can submit a business for review consideration via this form, but the company makes no guarantees about inclusion. Zagat — Founded in 1979, Zagat began as a vehicle for aggregating diner reviews. 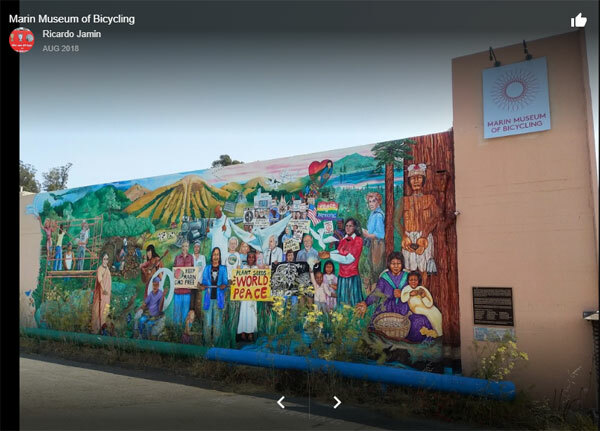 It was purchased by Google in 2011 and sold off to The Infatuation in 2018. Restaurants can’t request Zagat reviews. Instead, the company conducts its own surveys and selects businesses to be rated and reviewed, like this. 10Best — Owned by USA Today Travel Media Group, 10Best employs local writers/travelers to review restaurants and other destinations. Restaurants cannot request a review. The Infatuation — Founded in 2009 and headquartered in NY, The Infatuation employs diner-writers to create reviews like this one based on multiple anonymous dining experiences that are then published via their app. The also have a SMS-based restaurant recommendation system. They do not accept request from restaurants hoping to be reviewed. AFAR — Founded in 2009, AFAR is a travel publication with a website, magazine, and app which publishes reviews like this one. There is no form for requesting a review. Michelin — Founded as a tire company in 1889 in France, Michelin’s subsidiary ViaMichelin is a digital mapping service that houses the reviews Google is pulling. In my study, Chicago, NYC and San Francisco were the only three cities that yielded Michelin reviews like this one and one article states that only 165 US restaurants have qualified for a coveted star rating. The company offers this guide to dining establishments. As you can see, the surest way to earn a professional review is to become notable enough on the dining scene to gain the unsolicited notice of a critic. How many picks for best restaurants are using the Google Posts microblogging feature? As it turns out, only a meager 16 percent of America’s “best” restaurants in my survey have made any use of Google Posts. In fact, most of the usage I saw wasn’t even current. I had to click the “view previous posts on Google” link to surface past efforts. This statistic is much worse than what Ben Fisher found when he took a broader look at Google Posts utilization and found that 42 percent of local businesses had at least experimented with the feature at some point. For whatever reason, the eateries in my study are largely neglecting this influential feature, and this knowledge could encompass a competitive advantage for your restaurant clients. Do you have a restaurateur who is trying to move up the ranks? There is some evidence that devoting a few minutes a week to this form of microblogging could help them get a leg up on lazier competitors. Google Posts are a natural match for restaurants because they always have something to tout, some appetizing food shot to share, some new menu item to celebrate. As the local SEO on the job, you should be recommending an embrace of this element for its valuable screen real estate in the Google Business Profile, local finder, and maybe even in local packs. 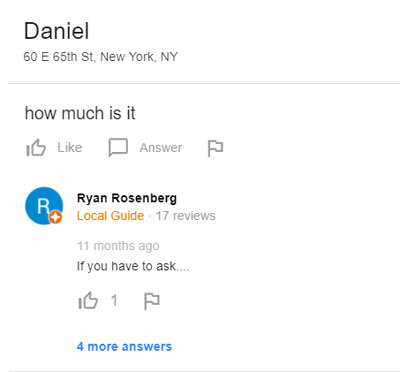 What is the average number of questions top restaurants are receiving on their Google Business Profiles? 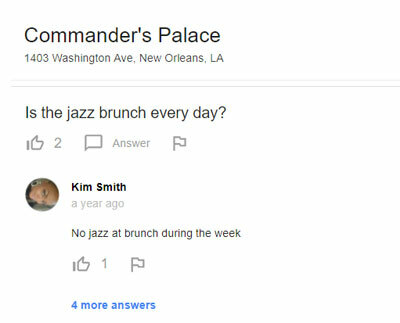 Commander’s Palace in New Orleans is absolutely stealing the show in my survey with 56 questions asked via the Q&A feature of the Google Business Profile. Only four restaurants had zero questions. The average number of questions across the board was eight. Takeaway: As I mentioned in a previous post, Greg Gifford found that 40 percent of his clients’ Google Questions were leads. To leave those leads up to the vagaries of the public, including a variety of wags and jokesters, is to leave money on the table. If a potential guest is asking about dietary restrictions, dress codes, gift cards, average prices, parking availability, or ADA compliance, can your restaurant clients really afford to allow a public “maybe” to be the only answer given? I’d suggest that a dedication to answering questions promptly could increase bookings, cumulatively build the kind of reputation that builds rankings, and possibly even directly impact rankings as a result of being a signal of activity. What is the average Page Authority and Domain Authority of restaurants ranking as “best’? The average PA is 36, with a high of 56 and a low of zero being represented by one restaurant with no website link and one restaurant appearing to have no website at all. The average DA is 41, with a high of 88, one business lacking a website link while actually having a DA of 56 and another one having no apparent website at all. The lowest linked DA I saw was 6. PA/DA do not = rankings. Within the 50 local packs I surveyed, 32 of them exhibited the #1 restaurant having a lower DA than the establishments sitting at #2 or #3. In one extreme case, a restaurant with a DA of 7 was outranking a website with a DA of 32, and there were the two businesses with the missing website link or missing website. But, for the most part, knowing the range of PA/DA in a pack you are targeting will help you create a baseline for competing. While pack DA/PA differs significantly from city to city, the average numbers we’ve discovered shouldn’t be out-of-reach for established businesses. If your client’s restaurant is brand new, it’s going to take some serious work to get up market averages, of course. Local Search Ranking Factors 2019 found that DA was the 9th most important local pack ranking signal, with PA sitting at factor #20. Once you’ve established a range of DA/PA for a local SERP you are trying to move a client up into, your best bet for making improvements will include improving content so that it earns links and powering up your outreach for local links and linktations. Which websites does Google trust enough to cite as references for restaurants? The restaurant’s website was listed as a reference for 99 percent of the candidates in our survey. More proof that you still need a website in 2019, for the very good reason that it feeds data to Google. Yelp is highly trusted at 76 percent and TripAdvisor is going strong at 43 percent. Your client is likely already aware of the need to manage their reviews on these two platforms. Be sure you’re also checking them for basic data accuracy. 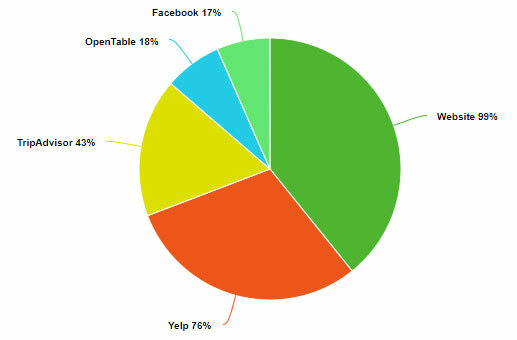 OpenTable and Facebook are each getting a small slice of Google trust, too. Not shown in the above chart are 13 restaurants that had a web reference from a one-off source, like the Des Moines Register or Dallas Eater. A few very famous establishments, like Brennan’s in New Orleans, surfaced their Wikipedia page, although they didn’t do so consistently. I noticed Wikipedia pages appearing one day as a reference and then disappearing the next day. I was left wondering why. For me, the core takeaway from this factor is that if Google is highlighting your client’s listing on a given platform as a trusted web result, your agency should go over those pages with a fine-toothed comb, checking for accuracy, activity, and completeness. These are citations Google is telling you are of vital importance. Menu implementation is all over the place. 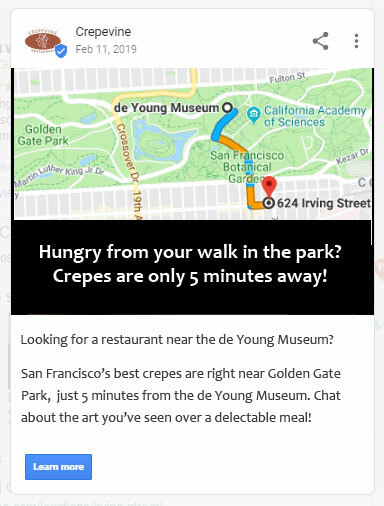 While many restaurants are linking directly to their own website via Google’s offered menu link, some are using other services like Single Platform, and far too many have no menu link at all. Reservation platforms like Open Table are making a strong showing, but many restaurants are drawing a blank on this Google listing field, too. 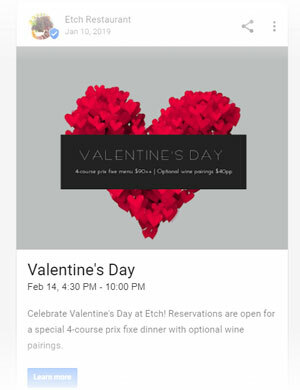 Many, but far from all, of the restaurants designated “best” feature Google’s “reserve a table” function which stems from partnerships with platforms like Open Table and RESY. Order links are pointing to multiple sources including DoorDash, Postmates, GrubHub, Seamless, and in some cases, the restaurant’s own website (smart!). But, in many cases, no use is being made of this function. Photos were present for every single best-ranked restaurant. Their quality varied, but they are clearly a “given” in this industry. Independently-owned restaurants are the clear winners for my search term. With the notable exception of an Olive Garden branch in Parkersburg, WV, and a Cracker Barrel in Bismarck, ND, the top competitors were either single-location or small multi-location brands. For the most part, neither Google nor the dining public associate large chains with “best”. Honorable mentions go to Bida Manda Laotian Bar & Grill for what looks like a gorgeous and unusual restaurant ranking #1 in Raleigh, NC and to Kermit’s Outlaw Kitchen of Tupelo, MS for the most memorable name in my data set. You can get a lot of creative inspiration from just spending time with restaurant data. Local rankings emerge from the dynamic scenario of Google’s opinionated algorithms + public opinion and behavior. Doing Local SEO for restaurants means managing a ton of different ingredients: website SEO, link building, review management, GBP signals, etc. We can’t offer clients a generic “formula” for winning across the board. This study has helped us understand national averages so that we can walk into the restaurant space feeling conversant with the industry. In practice, we’ll need to discover the true competitors in each market to shape our strategy for each unique client. And that brings us to some good news. As I mentioned at the outset of this survey, I specifically avoided proximity as an influence by searching as a traveler to other destinations would. I investigated one local pack for each major city I “visited”. The glad tidings are that, for many of your restaurant clients, there is going to be more than one chance to rank for a search like “best restaurants (city)”. 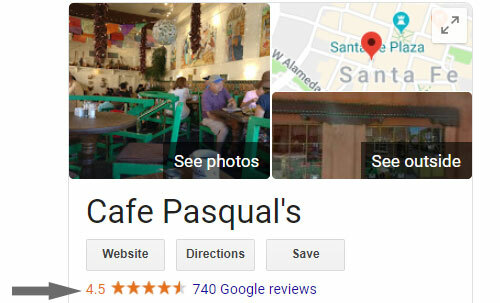 Unless the eatery is in a very small town, Google is going to whip up a variety of local packs based on the searcher’s location. So, that’s something hopeful to share. 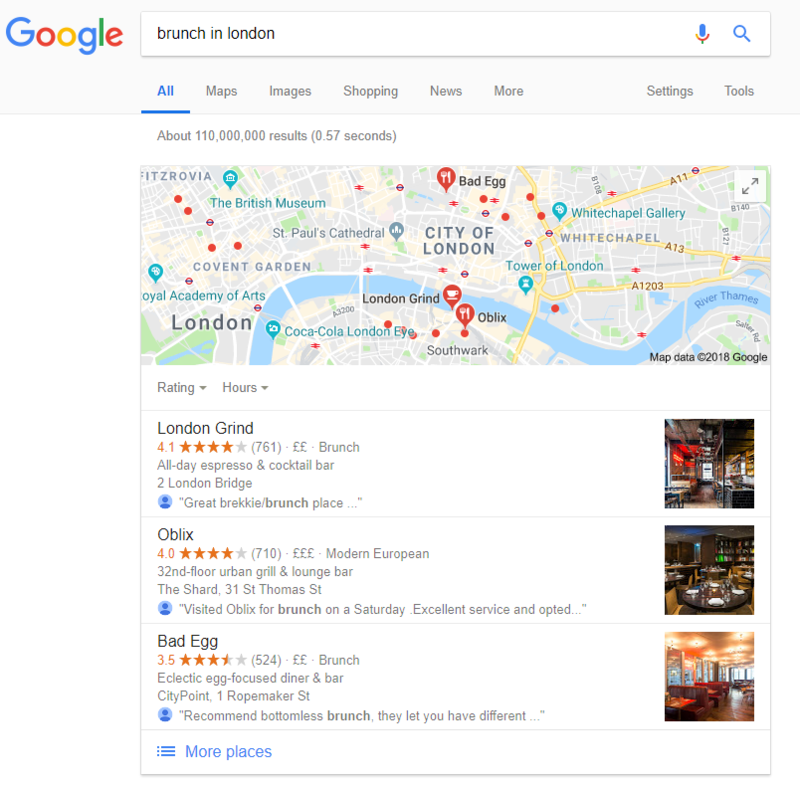 What have we learned about restaurant local SEO? While the US shows a predictable leaning towards American restaurants, any category can be a contender. So, be bold! 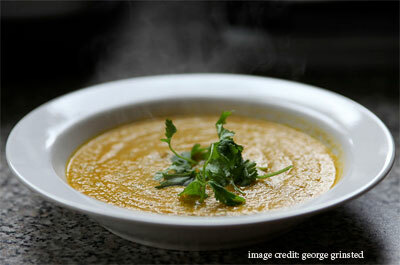 Mid-priced restaurants are considered “best” to a greater degree than the cheapest or most expensive options. Price for your market. While you’ll likely need at least 100 native Google reviews to break into these packs, well over half of competitors have yet to break the 1,000 mark. An average 71 percent of competitors are revealing a glaring weakness by neglecting to respond to reviews – so get in there and start embracing customer service to distinguish your restaurant! A little over half of your competitors have earned critic reviews. If you don’t yet have any, there’s little you can do to earn them beyond becoming well enough known for anonymous professional reviewers to visit you. In the meantime, don’t sweat it. About three-quarters of your competitors are completely ignoring Google Posts; gain the advantage by getting active. Potential guests are asking nearly every competitor questions, and so many restaurants are leaving leads on the table by allowing random people to answer. Embrace fast responses to Q&A to stand out from the crowd. With few exceptions, devotion to authentic link earning efforts can build up your PA/DA to competitive levels. Pay attention to any platform Google is citing as a resource to be sure the information published there is a complete and accurate. The current management of other Google Business Profile features like Menus, Reservations and Ordering paints a veritable smorgasbord of providers and a picture of prevalent neglect. If you need to improve visibility, explore every profile field that Google is giving you. A question for you: Do you market restaurants? Would you be willing to share a cool local SEO tactic with our community? We’d love to hear about your special sauce in the comments below. Wishing you bon appétit for working in the restaurant local SEO space, with delicious wins ahead! I find it hilarious that SEOs are suddenly annoyed that Google is aggressively taking over some verticals with in-SERP features. They’ve been doing that for years. What do you think the EU antitrust case is about?! Or do you suddenly care because it affects your clients? Follow that Twitter thread and you’ll see the sort of back-and-forth these changes have started to create. Is this an ethical move by Google? Did you deserve the business they’re taking in the first place? Will SEO soon be dead? Or can we do what we’ve always done and adapt our strategies in smart, agile ways? But regardless of how you feel about what’s happening, local packs, featured snippets, and SERP features from Google, properties like Google News, Images, Flights, Videos, and Maps are riding on a train that has no plans on stopping. Check out MozCast’s Feature Graph if you want to see the percentage of queries specific features are appearing on. Who is this blog post for? You’re likely reading this blog post because you noticed your organic traffic has dropped and you suspect it could be Google tanking you. Traffic drops tend to come about from four main causes: a drop in rankings, a decrease in search volume, you are now ranking for fewer keywords, or because SERP features and/or advertising are depressing your CTRs. If you have not already done a normal traffic drop analysis and ruled out the first three causes, then your time is better spent doing that first. But if you have done a traffic drop analysis and reached the conclusion that you’re likely to be suffering from a change in SERP features, then keep reading. Aside from ruling everything else out, other strong indications that SERP features are to blame will be a significant drop in clicks (either broadly or especially for specific queries) in Google Search Console where average ranking is static, but a near consistent amount of impressions. I’ll keep harping on about this point, but make sure that you check clicks vs impressions for both mobile and desktop. Do this both broadly and for specific key head terms. When you spend most of your day working on a desktop computer, sometimes in this industry we forget how much mobile actually dominates the scene. On desktop, the impact these have on traffic there is not as drastic; but when you go over to a mobile device, it’s not uncommon for it to take around four full scrolls down before organic listings appear. That covers step one, so let’s move on. For a comprehensive list of all the different enhanced results that appear on Google, Overthink Group has documented them here. To figure out which one is impacting you, follow the below steps. Based off of your industry, you probably already have an idea of which features you’re most vulnerable to. Are you an e-commerce website? Google Shopping and paid advertising will be a likely candidate. Do you tend to generate a lot of blog traffic? 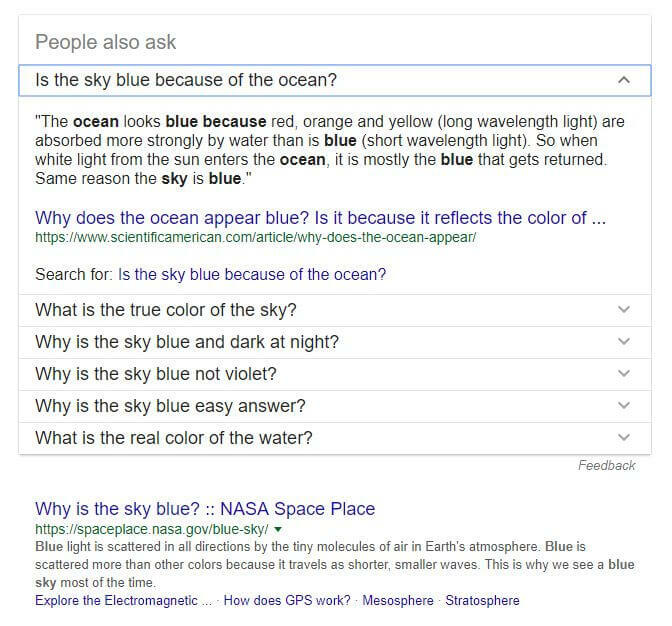 Look at who owns the featured snippets on your most important queries. Are you a media company? Check and see if you are getting knocked out of top news results. Do you run a listings site? Maybe you’re being knocked by sponsored listings or Google Jobs. From there, sanity check this by spot-checking the SERPs for a couple of the keywords you’re concerned about to get a sense for what changed. If you roughly know what you’re looking for when you dig into the data, it will be easier to spot. 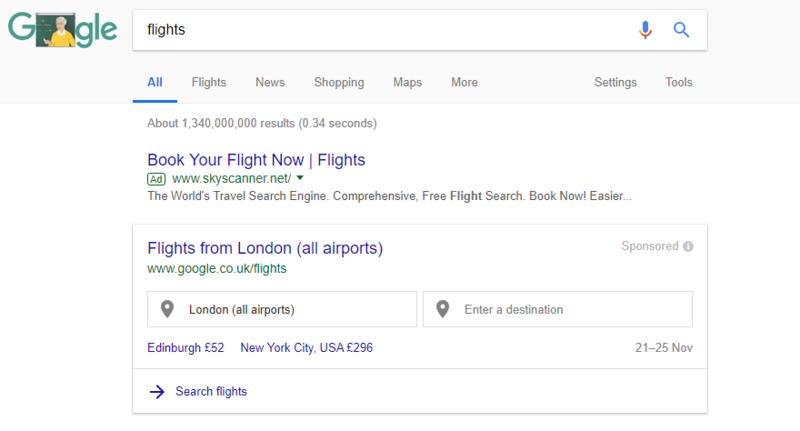 This works well for SERP features, but determining a change in the amount of paid advertising will be harder to spot this way. Once again, be sure to do this on both mobile and desktop. What may look insignificant from your office computer screen could be showing you a whole different story on your mobile device. Once you have a top level idea of what has changed, you need to confirm it with SEO tools. If you have access to one, a historical rank tracking tool will be the most efficient way to dig into how your SERPs are evolving. I most frequently use STAT, but other great tools for this are Moz’s SERP features report, SEOmonitor, and SEMRush. Using one of these tools, look back at historical data (either broadly or for specific important keywords) and find the date the SERP feature appeared if you can. Once you have this date, line it up with a dip in your organic traffic or other performance metric. If there’s a match, you can be pretty confident that’s to blame. For example, here’s what this analysis looked like for one of our clients on a keyword with a regional search volume of 49,500. They got hit hard on mobile-first by the appearance of a local pack, then an events snippet 10 days later. As this case demonstrates, here’s another strong reminder that when you’re analyzing these changes, you must check both mobile and desktop. Features like knowledge panels are much more intrusive on mobile devices than they are on desktop, so while you may not be seeing a dramatic change in your desktop traffic, you may on mobile. For this client we improved their structured data so that they showed up in the event snippet instead, and were able to recover a good portion of the lost traffic. Have you tried bidding to beat Google? I cover what to do if you’re specifically losing out on organic traffic due to paid advertising (spoiler alert: you’re probably gonna have to pay), but paid advertising can also be used as a tactic to subvert Google SERP features. AMP is a project sponsored by Google to improve the speed of mobile pages. For a lot of these challenges, implementing AMP may be a way to improve your rankings as Google SERPs continue to change. 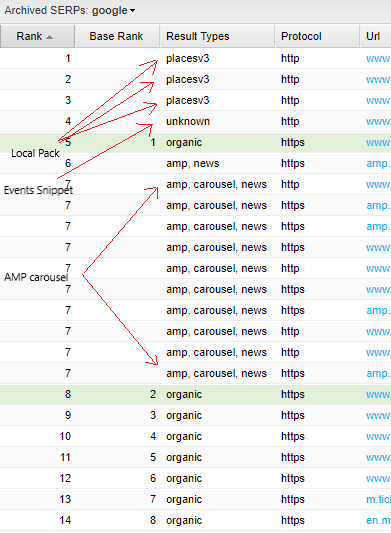 If you’ve noticed a number of websites with AMP implemented are ranking on the first page of SERPs you care about, it’s likely worth investigating. If you are a news website, implementing AMP is absolutely a must. If you’re losing traffic because one of your competitors owns the featured snippets on your SERPs, then you need to optimize your content to win featured snippets. I’ve already written a blog post for our Distilled blog on tactics to steal them before, which you can read here. If you’ve identified some featured snippets you have a good chance of stealing, compare what the current owner has done with their content that you haven’t. Typically it’s things like the text heading the block of content and the format of the content that differentiates a featured snippet owner from your content. At SearchLove London 2018, Rob Bucci shared data from STAT on local packs and search intent. 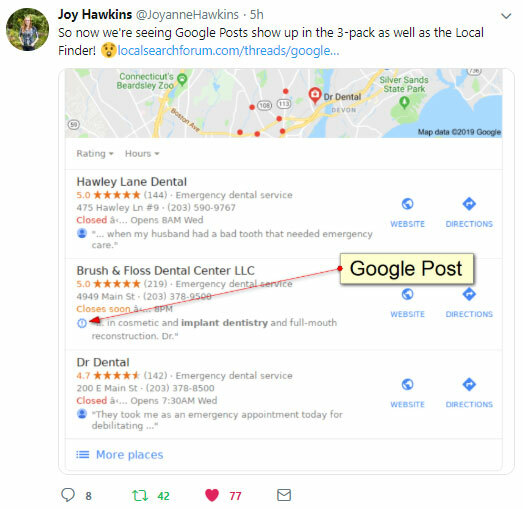 Local SEO is a big area that I can’t cover fully here, but if you’re losing traffic because a local pack has appeared that you’re not being featured in, then you need to try and optimize your Google My Business listing for the local pack if you can. For a more in depth instruction on how you can get featured in a local pack, read here. Unfortunately, it may just not be possible for you to be featured, but if it’s a query you have a chance at appearing in local pack for, you first need to get set up on Google My Business with a link to your website. 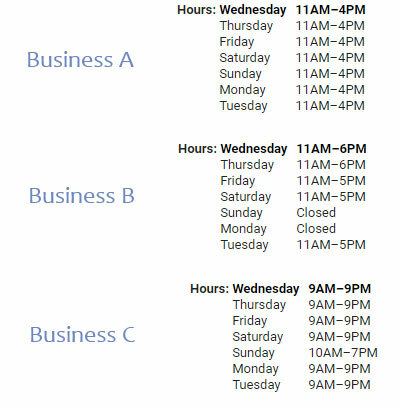 Once you have Google My Business set up, make sure the contact and address information is correct. Reviews are incredibly important for anyone competing within a local pack, and not just high reviews but also the number of reviews you’ve received is important. You should also consider creating Google Posts. In a lot of spaces this feature is yet to have been taken advantage of, which means you could be able to get a jumpstart on your competitors. More queries are seeing paid advertisements now, and there are also more ads appearing per query, as told in this Moz post. If you’re losing traffic because a competitor has set up a PPC campaign and started to bid on keywords you’re ranking well for, then you may need to consider overbidding on these queries if they’re important to you. Unfortunately, there’s no real secret here: either you gotta pay or you’re going to have to shift your focus to other target queries. 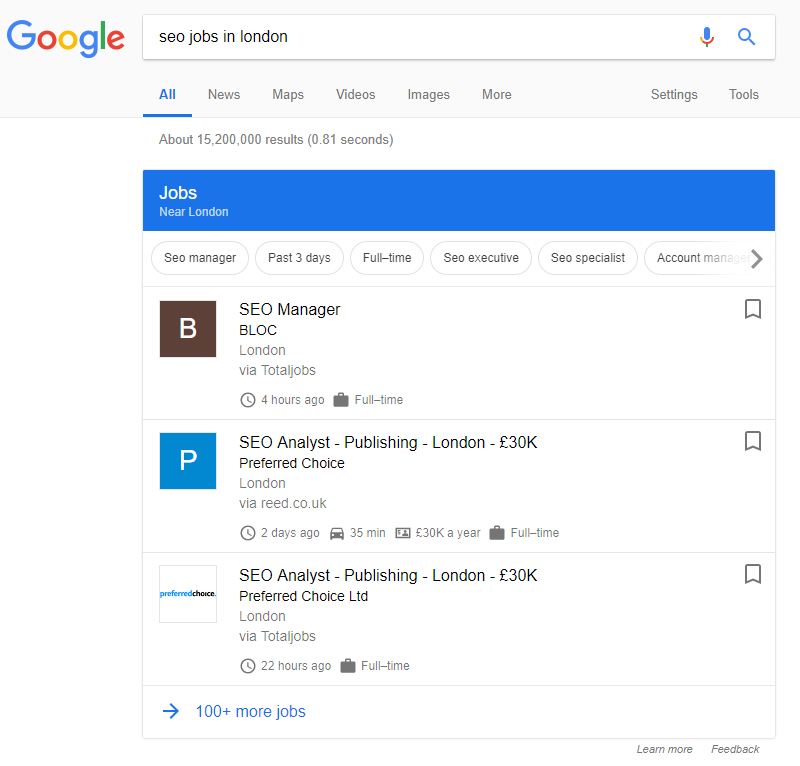 You should have already done so, but if you haven’t already included structured data on your website you need to, as it will help you stand out on SERPs with lots of advertising. Wrapped into this is the need to get good reviews for your brand and for your products. Similar to paid advertising, if the appearance of Google Shopping sponsored ads has taken over your SERPs, you should consider whether it’s worth you building your own Google Shopping campaign. Again, structured data will be an important tactic to employ here as well. 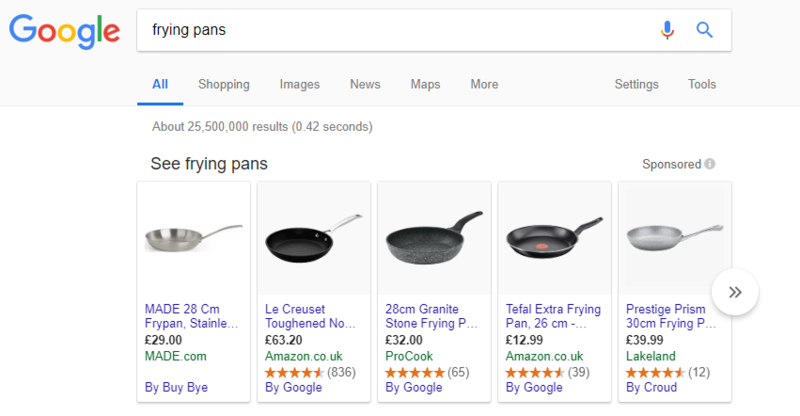 If you’re competing with Google Shopping ads, you’re competing with product listings that have images, prices, and reviews directly in the SERP results to draw in users. You should have the same. Look into getting your pages implemented in Accelerated Mobile Pages (AMP), which is sponsored by Google. Not only has Google shown it favors pages that are in AMP, better site speed will lead to better conversion rates for your site. To see if implementing AMP may be beneficial to your business, you can read some case studies of other businesses that have done so here. Knowledge panels such as the one below appear for broad informational searches, and rarely on highly converting keywords. While they are arguably the most imposing of all the SERP features, unless you’re a content site or CelebrityNetWorth.com, they probably steal some of your less valuable traffic. If you’re losing clicks due to knowledge panels, it’s likely happening on queries that typically can be satisfied by quick answers and therefore are by users who might have bounced from your site anyway. You won’t be able to beat a knowledge panel for quick answers, but you can optimize your content to satisfy affiliated longer-tail queries that users will still scroll to organic listings to find. Create in-depth content that answers these questions and make sure that you have strong title tags and meta descriptions for these pages so you can have a better chance of standing out in the SERP. In some cases, knowledge panels may be something you can exploit for your branded search queries. There’s no guaranteed way to get your content featured in a knowledge panel, and the information presented in them does not come from your site, so they can’t be “won” in the same way as a featured snippet. To get into a knowledge panel, you can try using structured data markup or try to get your brand on Wikipedia if you haven’t already. 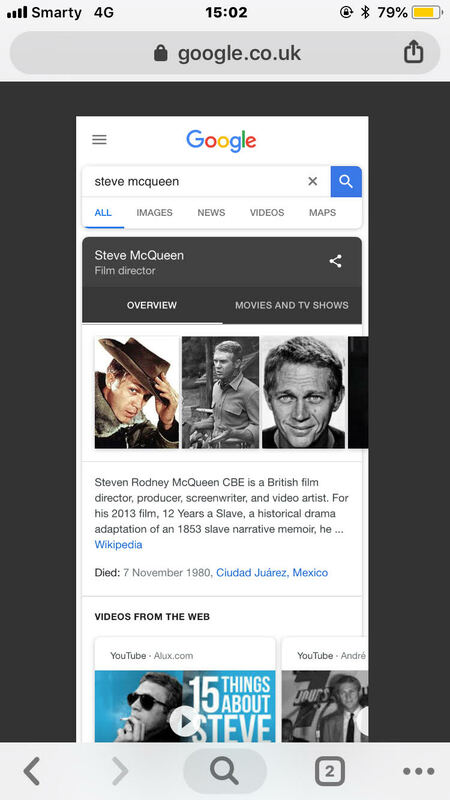 The Knowledge Graph relies heavily on existing databases like Wikipedia that users directly contribute to, so developing more Wikipedia articles for your brand and any personal brands associated with it can be one avenue to explore. Search Engine Journal has some tips on how to implement both of these strategies and more in their blog post here. Google Jobs has taken up huge amounts of organic real estate from listing sites. It will be tough to compete, but there are strategies you can employ, especially if you run a niche job boards site. Shifting your digital strategy to integrate more paid advertising so you can sit above Google and to generating content in other areas, like on news websites and advice boards, can help you. For more details on how to employ some of these strategies, you can read Search Engine Journal’s Google Jobs survival tips. Look, I’d be lying to you if I said this was good news for us SEOs. It’s not. Organic is going to get more and more difficult. But it’s not all doom and gloom. As Rand Fishkin noted in his BrightonSEO speech this September, if we create intelligent SEO strategies with an eye towards the future, then we have the opportunity to be ahead of the curve when the real disruption hits. We also need to start integrating our SEO strategies with other mediums; we need to be educated on optimizing for social media, paid advertising, and other tactics for raising brand awareness. The more adaptable and diverse your online marketing strategies are, the better. Google will always be getting smarter, which just means we have to get smarter too. Search, like nearly every other industry today, will continue to come against dramatic unanticipated changes in the future. Yet search will also only continue to grow in importance. It may become increasingly more difficult to manipulate your way to the top of search results, but there will always be a need to try, and Google will continue to reward content that serves its users well. Marketers and retailers can get more comparative brand data with the latest update.